Make any purchase at Converse online and save money thanks to Pre-Black Friday Sale! 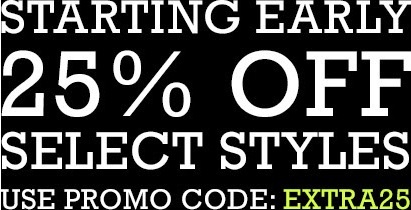 You can take 25% off your online purchase when you enter the promo code EXTRA25 at checkout. Plus, get a free shipping on online purchase. Source of the information is Converse. The offer is time limited. For more details abot the sale visit Converse online.